Have you started your federal and state taxes yet? Due to budget cuts passed by Congress last year, the Winsted Library will not be getting any federal tax instruction books this year to give out, but we do have copies available that can be used in the library. 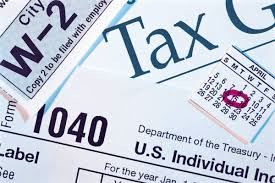 The only forms we have are the federal 1040/1040A/1040EZ ones, but we can print any others you may need. We still do not have any Minnesota ones available. You can go to www.irs.gov for any federal forms, schedules, or tax instruction books that you may need. For the Minnesota state forms, schedules, or instruction books, you can go to the Minnesota Revenue site at http://www.revenue.state.mn.us .